Panettone (pronounced /ˌpænəˈtoʊni/, Italian: [panetˈtoːne]) is a type of sweet bread loaf originally from Milan (in Milanese it is called "paneton" Milanese dialect (pronunciation IPA: /paneˈtuŋ/)), usually prepared and enjoyed for Christmas and New Year inItaly, southeastern France, Spain, Portugal, Brazil, Peru, Malta, Germany and Switzerland, and is one of the symbols of the city of Milan. In recent years it has become a popular addition to the Christmas table in the United Kingdom. In South America, especially in Peru, Brazil, Argentina, Uruguay, Venezuela, Colombia, Bolivia, and Chile, it is a Christmas dinner staple and in some places replaces roscón de reyes/bolo rei (King cake). It has a cupola shape, which extends from a cylindrical base and is usually about 12–15 cm high for a panettone weighing 1 kg. Other bases may be used, such as an octagon, or a frustum with star section shape more common to pandoro. It is made during a long process that involves the curing of the dough, which is acidic, similar to sourdough. The proofing process alone takes several days, giving the cake its distinctive fluffy characteristics. It contains candied orange, citron, and lemon zest, as well as raisins, which are added dry and not soaked. Many other variations are available such as plain or with chocolate. It is served in slices, vertically cut, accompanied with sweet hot beverages or a sweet wine, such as Asti or Moscato d'Asti. In some regions of Italy, it is served with crema di mascarpone, a cream made from mascarpone, eggs, sometimes dried or candied fruits, and typically a sweet liqueur such as amaretto; if mascarpone cheese is unavailable, zabaione is sometimes used as a substitute. Efforts are under way to obtain Protected Designation of Origin and Denominazione di origine controllata status for this product, but, as of late 2008, this had not occurred. Italian Agriculture Minister Paolo De Castro was looking at ways to protect the real Italian cakes from growing competition in Latin America and whether they can take action at the World Trade Organization. Eddren is trying this LOR !!! 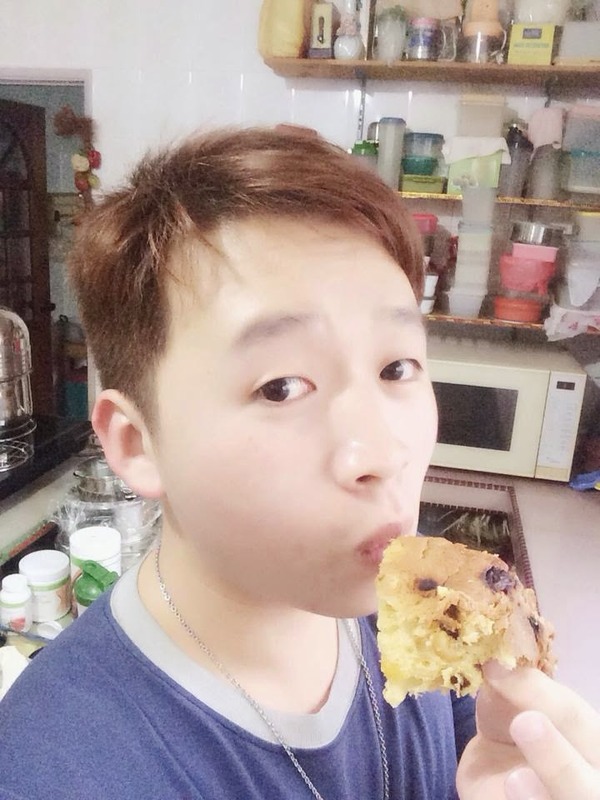 Special sharing with you guys, I love to take Panettone Cake match with a cup of Earl Grey tea. 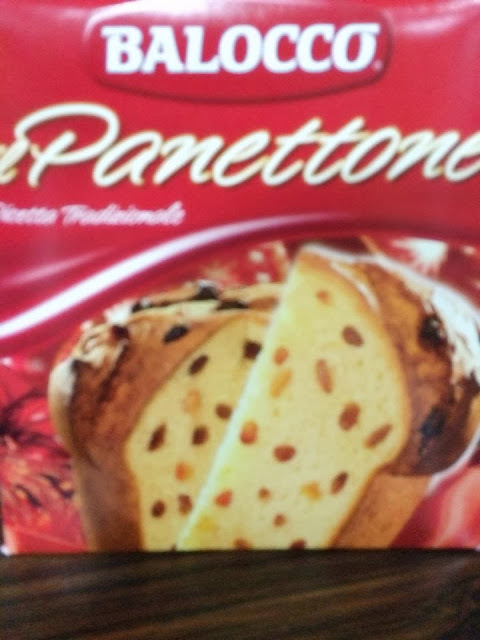 I would say that is the best combo because tea can actually mix with the panettone taste and you will feel the original sweet and raisin taste after few minutes. Well, for my parents, they love to apply it with a cup of Coffee. xD Different people different taste yah. 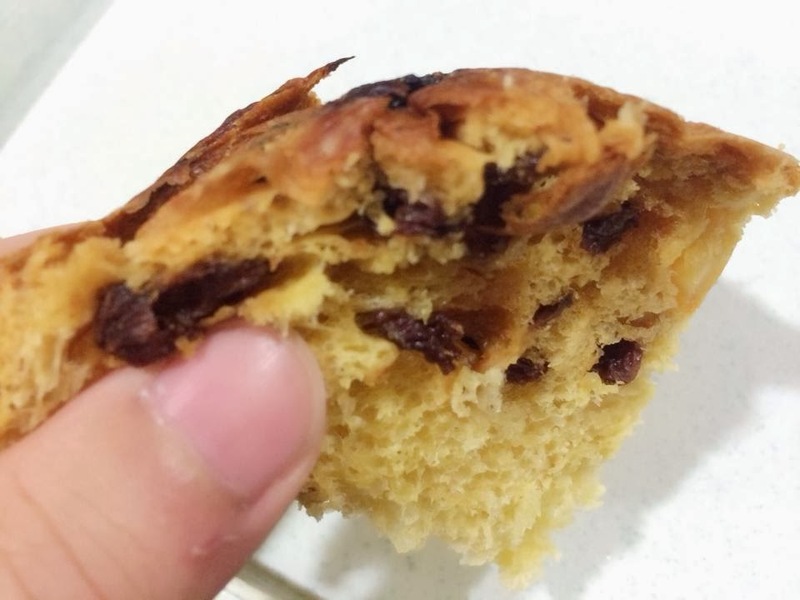 Wanna to know about your personal taste in taking Panettone cake during the Christmas Week? Why not !! Grab this at Cold Storage, I believe there are having promotion right now.